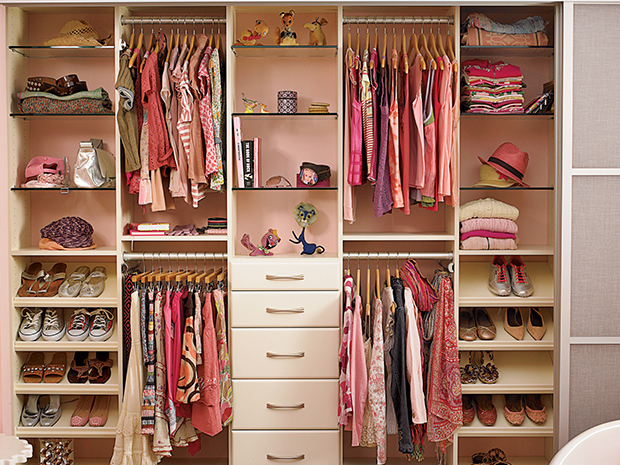 Are you ready for a closet makeover here in Miami? With a fabulous outer life here in the vibrant city, the inside of your home should reflect that as well. Depending on your space, budget and design needs, we’ve provided five different closet ideas for your space here in Miami, Key West, Layton, Marathon, Medley, Miami Beach, Miami Gardens, Miami Shores Village, Miami Springs, North Bay Village or North Miami. 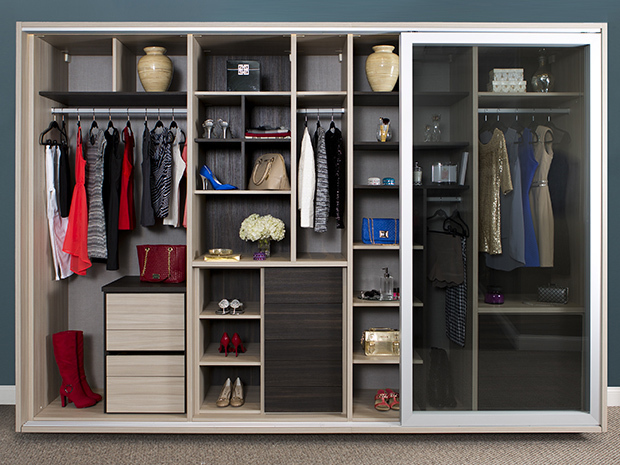 For an elevated closet experience, a walk-in closet gives you everything you can possibly dream up for a closet. The expansive, spacious option can be as simple or as decorated as you want, with multiple shelves, hanging areas, drawers and more. A center island and bench seating gives you additional storage and a place to relax, and shoe storage, LED custom lighting, jewelry drawer dividers and custom doors and drawers, including leather or glass, give you that boutique-like feeling right in your own home. For a genius space-saving solution, a reach-in closet is the best way to help you maximize your storage potential. Take advantage of closet height for even more interior space, and rely on multiple hanging areas, shelving, drawers and more. A Fusion Track Wall System hangs belts, ties, scarves and more on the wall, to keep clutter off of the floor for good. A wardrobe for your wardrobe is a great solution for those who prefer something a bit more mobile. The freestanding closet is like a luxurious, one of a kind piece of furniture itself, and comes with the same functional features as any other closet. Custom doors elevate your piece of furniture so it disguises your clothes. Do you have kids? Then you know that no material item lasts forever – kids outgrow them. So, why have a closet that won’t work for them in five years? 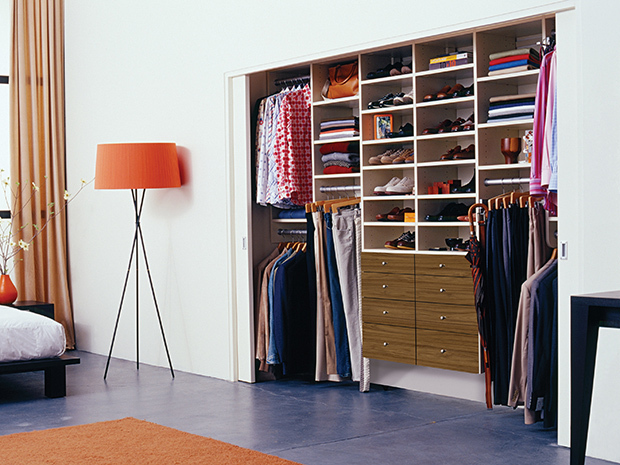 An adjustable closet is the best way to save money and time in the long run. Adjustable shelving, hanging areas and baskets organize the closet to evolve with your child, allowing for a space that stores clothes when he or she is young to become a place that also houses technology, sports equipment, and books as your child grows older. Life isn’t always black and white – and neither is your closet. Sometimes, depending on your space and needs, a combination of the above can be the perfect solution for your home. 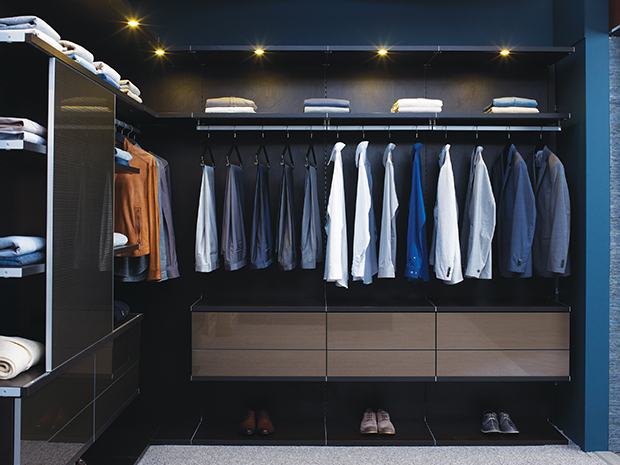 That’s why custom closets are crucial – so you can design the best fit for you. The Urban Master design is the perfect example of pairing a reach-in closet with a wardrobe.